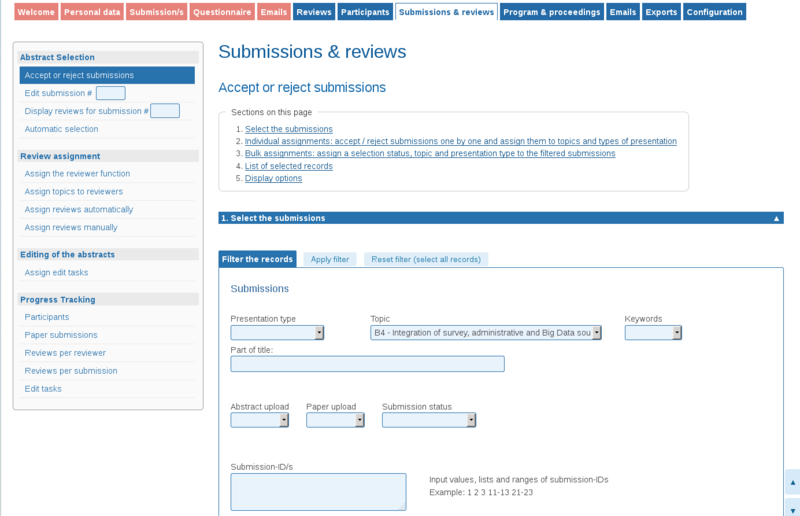 The Chair can view a list of the submissions and their reviews. 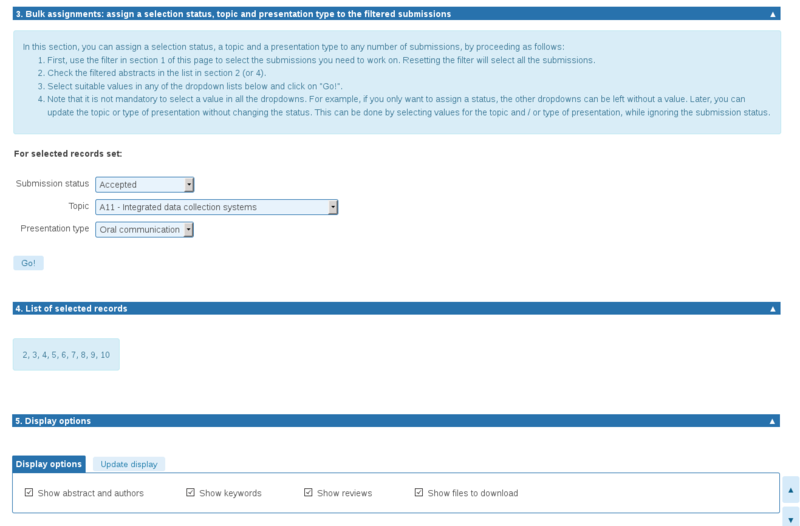 The submitters' preferred type of presentation and topic are also displayed. The information provided can help assign each abstract to a topic or type of presentation. A status can also be assigned to the abstract (e.g. "Accepted", "Declined", "Request corrections"). A detailed filter is supplied, allowing the Chair to select the abstracts to work on. Export functions are also provided, to allow working outside of the system. 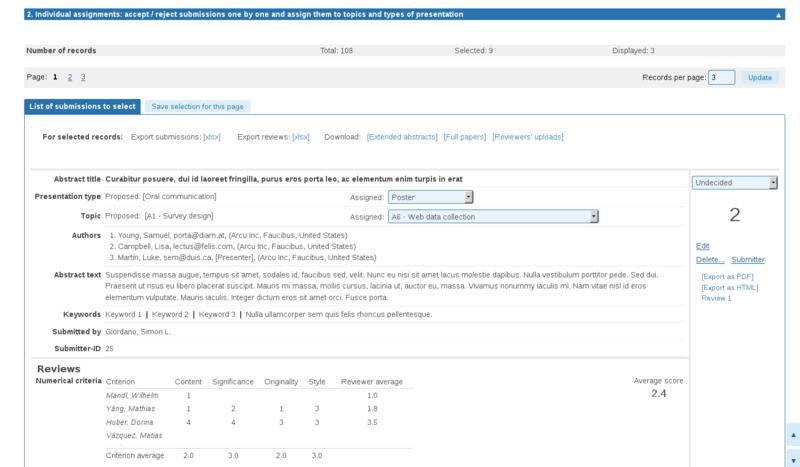 The Chair can use the filter to select a list of abstracts that will be assigned the same topic, presentation type or selection status. This function is useful if the selection process is carried out offline. Inputting of the results into the system can then be performed quickly and easily. 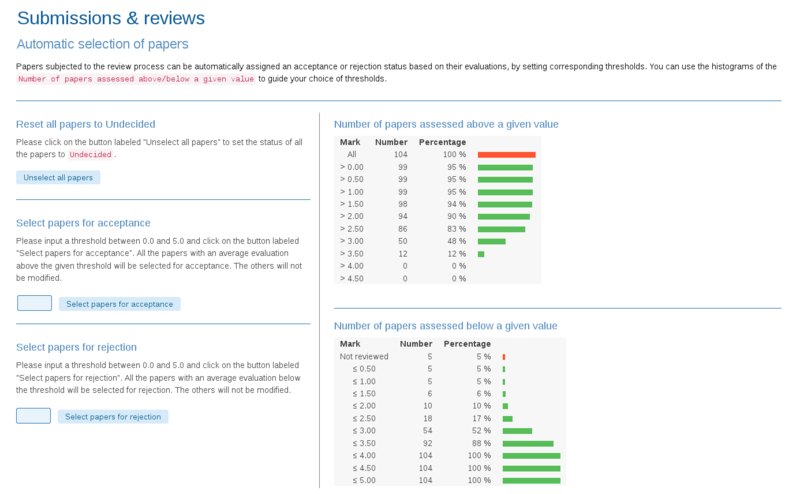 If numerical ratings are used in the review process, the Chair can use the given values to select the abstracts for acceptance, by specifying a cut off value above which abstracts will be accepted.